Skype, WhatsApp, and Viber became available in May 2018, despite some users still reporting difficulty accessing the services (see Restrictions on Connectivity). The online media environment experienced a slight opening, as online outlets started to cover more politically and socially sensitive topics (see Media, Diversity, and Content Manipulation). The state-owned telecommunications and internet provider Uztelecom announced its new “Transformation-2020” project to expand and improve internet access (see Availability and Ease of Access). There were new arrests and prosecutions for critical online content, with at least one case of alleged torture while in detention, while some online journalists serving lengthy sentences were released from prison (see Prosecutions and Detentions for Online Activities and Intimidation and Violence). The internet freedom environment in Uzbekistan remains repressive, though there has been a slight opening of the online media environment and some Voice over Internet Protocol (VoIP) platforms became available in May 2018. Following the death of authoritarian President Islam Karimov in September 2016, Shavkat Mirziyoyev took over the presidency in December 2016. Mirziyoyev promised to honor Karimov’s legacy, and human rights remain severely restricted. However, there are some indications that the government may be willing to promote citizen engagement using online tools. Some registered online media outlets have started to cover more politically and socially sensitive topics, although the environment remains severely restricted. The establishment of the government’s “virtual office” initiative, an online platform allowing citizens to voice criticism directly to government bodies, launched hundreds of thousands of complaints, and many were successfully resolved. Several independent journalists have also been released from detention under the Mirziyoyev administration, though many had already served long sentences and the government continues to arrest and prosecute its critics, independent journalists, and human rights activists. The government has signaled that it is prioritizing expanding and improving internet access for its citizens. In May 2018, state-owned telecommunications and internet provider Uztelecom shared its “Transformation-2020” project to improve access and connectivity issues. Also in May, some VoIP calls, including services offered by Skype, WhatsApp, and Viber, became available. However, websites of independent news outlets, international civil society organizations, and other online content related to political and social topics remain blocked. Nearly half of the population had internet access in 2018, with growing mobile penetration playing a critical role in improving access. However, expensive service, low broadband speeds, and limits on data continue to curb internet use. The state controls the country's international internet gateways through the state-owned telecommunications operator Uztelecom. Some VoIP services such as Skype, WhatsApp, and Viber were unblocked in May 2018, after being inaccessible during the majority of the reporting period. Uztelecom, the state-owned telecommunications and internet access provider, announced in May 2018 the new “Transformation-2020” project,11 which aims to expand and improve internet access in the country, making it faster and cheaper. The project also plans to develop local cache servers to store international internet traffic and revise legislative and policy directives relating to the internet and digital communication. Since September 2005, public spaces such as educational institutions, youth organizations, libraries, and museums must connect to the wider internet exclusively via ZiyoNET,16 a nationwide information network that enables a greater degree of government monitoring and filtering. By concentrating the telecommunications market in a state-owned company and centralizing international connections into one “chokepoint,” the government can more easily shut down the internet and engage in censorship and surveillance. Uztelecom runs the International Center for Packet Switching to aggregate international internet traffic at a single node within its infrastructure. Uztelecom is an upstream ISP and sells international internet traffic to domestic ISPs at a wholesale price. Private ISPs are prohibited by law from bypassing Uztelecom’s infrastructure to connect to the internet, and from installing and maintaining their own satellite stations in order to establish internet connectivity. Several services offering free VoIP calls through the internet, including Skype, WhatsApp, and Viber, had been unavailable to users in Uzbekistan since at least July 2015, with some reports of disruptions from as early as October 2014. However, in May 2018, these apps including Skype, WhatsApp, and Viber were reported to be available.23 Prior to this unblocking, Uztelecom announced plans to launch its own alternative to Telegram, Skype, Viber, and WhatsApp. Experts linked the previous restrictions to the threat these free services pose to Uztelecom’s revenue.24 Uztelecom and the Ministry for the Development of Information Technologies and Communications, which regulates ICTs, both denied responsibility for the block. In May 2016, in an official response to a user complaint posted on an e-government website, a director of Uztelecom's information security department said the company was "not responsible for the due or proper operability of third-party resources." The ministry said that "servers of multimedia services like Skype, WhatsApp, Viber, and others are located in foreign states. National ISPs (operators and providers) in the Republic of Uzbekistan might be held responsible by the law for the functioning and accessibility of segments of the internet network, however, they cannot influence the quality of the aforesaid service." There are numerous legal, regulatory, and economic obstacles to competitive business in the ICT sector. As of January 2017, 654 companies were classified as providing data or telecommunications services including the internet, down from 854 in 2016.26 This figure includes internet cafes and does not indicate the number of private ISPs. The telecommunications market does not have an independent regulator. Since February 2015, the Ministry for the Development of Information Technologies and Communications (MININFOCOM) regulates telecommunications services related to the internet. The ministry combines the functions of a policymaker, regulator, and content provider, with no separation of regulatory and commercial functions. It is responsible for licensing ISPs and mobile phone operators, promoting technical standards for telecommunications technologies such as 4G (LTE), and providing e-governance services. The government of Uzbekistan monitors and controls online communications, and engages in pervasive and systematic blocking of independent news and any content that is critical of the regime, particularly related to human rights abuses. The opaque system offers few details on how decisions are made or what websites are blocked at any given time. While the online media landscape remains severely restricted, some online outlets have started reporting on politically and socially sensitive topics. The websites of the international broadcasters Deutsche Welle, Fergana News, Radio Free Europe/Radio Liberty, and the Uzbek services of the BBC and Voice of America have been inaccessible in Uzbekistan since 2005,41 following a violent government crackdown on peaceful anti-government protests in Andijan.42 On February 12, 2018, Uzbek users reported to have access to blocked independent resources such as Fergana News, BBC Uzbek Service, and Ozodlik Radio.43 However, the webpages were unavailable again by the evening. The commission also assesses publications referred to it by the monitoring center or other state bodies, including the courts and law enforcement, drawing on a designated pool of government-approved experts.52 Commission members vote on whether or not a violation has been committed based on reports from those experts. State bodies act on the commission’s decision, including courts and “other organizations,” presumably private ISPs.53 There are no procedures in place to notify those whose content is blocked, and no clear avenue for appeal. September 2014 amendments to the Law on Informatization brought bloggers and online news providers, including freelance citizen journalists, under state regulation subject to content removal requirements. By the law's broad definition, any person may qualify as a blogger by disseminating information “of socio-political, socio-economic and other character” to the public through a website.56 The law requires bloggers to substantiate the credibility (‘dostovernost’) of "generally accessible information" prior to publishing or even reposting it, and obliges them to "immediately remove" information if it is not considered credible. The law entitles a special governmental body to limit access to websites that do not comply. Though the online media environment remains severely restricted, some registered media outlets have started to cover more politically and socially sensitive topics. Additionally, citizens continue to utilize the government’s “virtual office” initiative to directly speak with government representatives. Recently, there has been a slight opening in the online media environment. Since Mirziyoyev became president, there is evidence that some registered media outlets have started to cover more politically and socially sensitive topics.60 For example, a popular edition of Kun.uz criticized the government for failing to stop forced labor for picking cotton.61 However, the online media environment remains severely restricted and self-censorship is still pervasive, given the government’s tight controls over the media. Those who report on topics deemed “taboo,” including criticism of the president, revelations about corruption, or health education, can still face harsh punishment.62 As a result of the government’s history of harassing traditional journalists, as well as their families, many online writers are cautious about what they post. The editorial direction of the online versions of state-run news outlets is often determined by both official and unofficial guidelines from the government. The financial sustainability of independent online media outlets largely depends on diminishing foreign funding that is subject to vigorous state control. The parliamentary "Public Fund for Support and Development of Independent Print Media and News Agencies of Uzbekistan" allocates state subsidies. It primarily grants the subsidies to the state-owned and pro-government mass media, which publish state propaganda. Independent news websites have been subject to arbitrary closure or retroactively being unregistered.67 Olam, once Uzbekistan's second most-visited news site, was permanently closed in January 2013 after the authorities opened criminal proceedings against its editor-in-chief and the website owner.68 At the time of its closure, Olam was reporting on state appropriation in the telecommunications sector. In May 2015, a court ordered the closure of the news media website Noviyvek, a weekly newspaper established in January 1992 and known for its balanced news reporting. Independent online media outlets are often forced to operate overseas to escape government repression, including Centre1, which is based in Germany. The stringent ideological policies of the government regarding the use of the internet and social media by Uzbek youth discourage digital activism as a significant form of political engagement. However, a handful of political activists and regime critics actively use the internet and social media as channels to reach supporters in and outside of Uzbekistan. Their efforts may raise awareness, but their actual impact on social mobilization is limited, largely due to the repressive environment for freedom of speech and assembly. Political Twitter and Facebook accounts are generally administered by Uzbek dissidents living abroad, rather than activists on the ground. State measures to silence dissent include persecution and criminal prosecution of regime critics and independent journalists, often on fabricated charges. The government has broad powers to punish expression online, and the 2016 amended criminal code increased penalties for threatening security and order through telecommunications networks or mass media. The security services systematically eavesdrop on citizens’ communications over email, mobile phone and Skype, in online forums, and social networks. 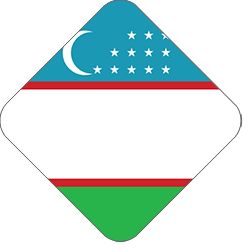 Uzbekistan's constitution protects the rights to freedom of expression and of the mass media, and prohibits censorship. Article 29 of the constitution guarantees the right to gather and disseminate information. However, the implementation of these protections remains minimal. National courts have generally failed to protect individuals, including professional journalists, against government retaliation for exercising their free expression rights. Rampant corruption, particularly within law enforcement bodies, as well as weak legislative and judicial bodies, continue to have a deleterious impact on freedom of expression. Courts and executive agencies also operate without transparency, depriving the public of access to legal decisions and opportunities for appeal. The regime's hostility toward its critics, including independent journalists, human rights activists, and critically-minded internet users, is notorious.78 New arrests were reported under President Shavkat Mirziyoyev, though some long-serving detainees were also released. Abbas Nasretdinov was charged with libel and insult in February 2018 due to Facebook posts criticizing former president Karimov, his family, and current prime minister Aripov.88 The charges carry a fine of about $1,260. Government surveillance of ICTs is extensive. Although Article 27 of the constitution guarantees the privacy of “written communications and telephone conversations,” there is no data protection legislation in Uzbekistan. Article 27 further guarantees respect for human rights and the rule of law, though these are frequently violated in surveillance operations. The Israeli branch of the U.S. Verint technology company and the Israel-based NICE systems supply the Uzbeki security services with monitoring centers allowing them direct access to citizens’ telephone calls and internet activity, according to UK-based Privacy International. Privacy International reported that Verint Israel has also carried out tests on behalf of the SNB to gain access to SSL-encrypted communications, such as those now offered by default by Gmail, Facebook, and other service providers, by replacing security certificates with fake ones using technology supplied by the U.S.-based company Netronome.95 In July 2015, documents leaked from the Milan-based surveillance software company “Hacking Team” revealed that NICE systems was supplying Hacking Team’s Remote Control System (RCS) spyware to Uzbekistan.96 RCS offers the ability to intercept user communications, remotely activate a device’s microphone and camera, and access all of the phone’s content including contacts and messages without the user’s knowledge. There is limited scope for anonymous digital communication, and the government strictly regulates the use of encryption.101 Proxy servers and anonymizers are important tools for protecting privacy and accessing blocked content, although they require computer skills beyond the capacity of many ordinary users in Uzbekistan. In September 2012, Uztelecom started blocking websites offering proxy servers, including websites listing free proxies that operate without a web interface. Distributed denial-of-service (DDoS) attacks on independent news media websites reporting on Uzbekistan, including Centrasia, UzMentronom, Fergana News, and Ozodlik, the Uzbek service of Radio Free Europe/Radio Liberty, have been frequent in the past, though there were no prominent examples in the past year. 1 ITU ICT Statistics, "Time Series by Country (until 2016),"http://www.itu.int/en/ITU-D/Statistics/Pages/stat/default.aspx. 5 As reported by ITU in 2016, internet access prices were prohibitively high in Uzbekistan and exceeded the monthly GNI per capita level at the rate of approximately 188 percent. See ITU, "Measuring the Information Society: 2016." 6 Uztelecom, "Зонапокрытия FTTB", (Coverage zone of FTTB) accessed July 2016, http://uzonline.uz/ru/services/fttb/. 7 Uztelecom, "Зонапокрытия FTTB", (Coverage zone of FTTB) accessed July 2016, http://uzonline.uz/ru/services/fttb/. 9 International Telecommunication Union, “Sustainable supply of electricity to telecommunication facilities in rural and remote areas (Uzbekistan),” accessed February 10, 2014, http://bit.ly/1FV5uod. 12 Uztelecom, "“Uzbektelecom JSC continues development of Wi-Fi network project on the territory of historical and cultural heritage and tourist activity of Uzbekistan," September 26, 2015, http://www.uztelecom.uz/en/press/news/2015/1936/. 15 "O poriadkepredostavleniadostupa k seti Internet v obschestvennikhpunktakhpol’zovania" [On Adoption of the Terms of Provision of Access to the Internet Network in Public Points of Use], promulgated by Order of the Communications and Information Agency of Uzbekistan No. 216, July 23, 2004, SZRU (2004) No. 30, item 350, art. 17 (e). 16 Resolution of the President RU "О созданииобщественнойобразовательнойинформационнойсетиРеспубликиУзбекистан" [On the Establishment of the Public, Educational, and Information Network of the Republic of Uzbekistan], No. ПП- 191, 28 September 2005, SZRU (No. 40), item. 305, at Art. 4. 19 TAS-IX, List of Members, http://tas-ix.uz/index.php?option=com_content&view=article&id=63:listofmembers. 20 TAX-IS participating ISP maintain a service to find out whether a website is in the TAS-IX network. See, e.g., ISP TPS, http://www.tps.uz/tasix/. 21 “Uzbekistan: what to do with a problem called internet,” Eurasianet, January 8, 2016, http://www.eurasianet.org/node/76741. 22 "Отключение мобильногоинтернетаскажетсяна работетерминалов," (Disconnection of mobile internet will affect terminals) Gazeta, July 31, 2016, https://www.gazeta.uz/ru/2016/07/31/uzcard. 24 “Why doesn’t Skype work?” UzMetronom, October 17, 2014, Uzmetronom.com,http://www.uzmetronom.com/2014/10/17/pochemu_so_skype_snjali_skalp.html. 25 Resolution of the Cabinet of Ministers RU, "О мерах по упорядочению пользования мобильными телефонами в образовательных учреждениях Республики Узбекистан" [On measures to streamline the use of mobile phones in educational institutions of the Republic of Uzbekistan], No. 139, May 21, 2012, SZ RU (2013 No. 21 (521), item. 229. 26 Ministry of Development of IT and Communication, “Industry development indicators,” 2009-2017, http://www.mitc.uz/ru/activities/indicators_industry_development/. 27 “TeliaSonera to retreat from Central Asia,"Reuters, September 17, 2015, http://www.reuters.com/article/teliasonera-eurasia-idUSL5N11N0BU20150917; "Telia sees lower cost for Uzbek settlement," Reuters, April 26, 2017, http://www.reuters.com/article/telia-earnings-idUSL8N1HY0OW . 30 IREX, "Europe & Eurasia Media Sustainability Index 2013," http://www.irex.org/sites/default/files/u105/EE_MSI_2013_Uzbekistan.pdf. 31 Business-Human Rights, “Teliasonera/Telenor response,” September 8, 2015, https://business-humanrights.org/sites/default/files/documents/CC_response_GM_Teliasonera_Telenor_rejoinder.pdf. 33 Computerization and Information Technologies Developing Center, "Administrators,” http://cctld.uz/reg/. 34 See Resolution of the Cabinet of Ministers RU "Об утверждении Положения о Министерстве по развитию информационных технологий и коммуникаций Республики Узбекистан" [On the Establishment of the Ministry for the Development of Information Technologies and Communications of the Republic of Uzbekistan], No. 87, April 10, 2015, SZRU (2015), NO 15 (671), item. 178. 35 Uzinfocom Data Centre, "Услугивеб-хостинга," [Web Hostimg Services] http://dc.uz/rus/hosting/. 39 Resolution of the President RU "О дополнительных мерах по дальнейшему развитию информационных технологий" [Program on the Establishment and Development of a National Information Search System], No.ПП-117, signed July 8, 2005, Annex 3, SZRU (2005) No.27, 189. 41 Committee to Protect Journalists, "Attacks on the Press 2010: Uzbekistan," February 15, 2011, http://cpj.org/x/40d0. 42 AloKhodjayev, “The Internet Media in Uzbekistan,” in OSCE Representative on Freedom of the Media (ed. ), Pluralism in the Media and the Internet (OSCE Representative on Freedom of the Media, Vienna, 2006), 143-148, at 144. 44 See UN Docs. CCPR/C/UZB/CO/4, at para. 23. 45 ZhannaHördegen, “The Future of Internet Media in Uzbekistan: Transformation from State Censorship to Monitoring of Information Space since Independence,” in After the Czars and Commissars: Journalism in Authoritarian Post-Soviet Central Asiaed. Eric Freedman and Richard Schafer, (East Lansing: Michigan State University Press, April 2011), 99-121. 46 Regulation No. 555, On the Measures of Improving the Organizational Structures in the Sphere of Mass Telecommunications, adopted by the Cabinet of Ministers of Uzbekistan on November 24, 2004. See OpenNet Initiative, “Country Profile: Uzbekistan,” December 21, 2010, http://opennet.net/research/profiles/uzbekistan. 47 A news website Informator.uz was shut down in 2007. See, “Pochemuzakritonezavisimoe SMI Uzbekistana—Informator.Uz?” Why the independent mass media of Uzbekistan, Informator.Uz, is closed?UZ Forum (blog), September 20, 2007, www.uforum.uz/showthread.php?t=2565. 48 Resolution of the Cabinet of Ministers, О дополнительныхмерахпосовершенствованиюсистемымониторинга в сферемассовыхкоммуникаций,On Supplementary Measures for the Improvement of the Monitoring System for the Sphere of Mass Communications No. 228, August 5, 2011, SZ RU (2011) No. 32-33, item 336. 49 Ibid, Annex II, art. 31. 50 Ibid, Annex I, contains a list of the Commission's members that is not made public. 51 Resolution of the Cabinet of Ministers RU, No. 228, at art. 1 and Annex II, art. 5. See note 50 above. 52 Ibid, at art. 1 and Annex II, art. 14. 53 Ibid, at Annex II, art. 26 and 29. 54 Regulation, ОпорядкепредоставлениядоступаксетиИнтернетвобщественныхпунктахпользования, [On Adoption of the Terms of Provision of Access to the Internet Network in Public Points of Use] promulgated by Order of the Communications and Information Agency of Uzbekistan No. 216, July 23, 2004, SZRU (2004) No. 30, item 350. 55 According to government figures, only about 30 percent of websites with “.uz” domain names were hosted on servers based in Uzbekistan as of December 2011. See Uzinfocom, "Толькоцифры," Only Numbershttp://bit.ly/1jRuwui. 56 Law RU No. ЗРУ-373, SZRU (2014) No. 36, item 452. 58 Узбекистан: Виртуальная приёмная президента отреагировала на обращение подвергшейся нападкам матери журналистов «Озодлика» (“Uzbekistan: The President’s virtual office responded to appeals of attacked mother of Ozodlik journalist”) Ferghana News, April 25, 2017 http://www.fergananews.com/news/26319. 62 "В Узбекистанезакрываетсялучшиймедицинскийсайт" The Best Medical Website is Going to be Shut Down in Uzbekistan, Uznews, March 25, 2010, http://www.uznews.net/news_single.php?lng=ru&cid=30&sub=&nid=13072; Catherine A. Fitzpatrick, “Uzbekistan: AIDS Activist Released, But Other Human Rights Defenders Harassed,” September 6, 2011,http://www.eurasianet.org/node/64131. 63 Law RU, Осредствахмассовойинформации, [On the Mass Media] No. 541-I, adopted December 26, 1997, as amended on January 15, 2007, SZRU (2007) No. 3, item 20, at art. 4. 64 Resolution of the Cabinet of Ministers RU, ОдальнейшемсовершенствованиипорядкагосударственнойрегистрациисредствмассовойинформациивРеспубликеУзбекистан, [On the Further Development of the Procedure for State Registration of the Mass Media in the Republic of Uzbekistan] No. 214, October 11, 2006, in SP RU (2007) No. 14, item 141, at art. 8. 65 UN Human Rights Committee, “Mavlonov and Sa'di v. the Republic of Uzbekistan,” Communication No. 1334/2004, Views adopted on April 29, 2009, UN Doc. CCPR/C/95/D/1334/2004, at par. 2.6, 2.11 and 8.3. 66 See Uzbek Agency for the Press and Information, "Состояние и динамика развития СМИ, издательств и полиграфических предприятий Узбекистана (01.01.2015г. )," last accessed on 27 May 2015, http://www.api.uz/ru/#ru/content/licence/statistics/. 67 See “Pochemuzakritonezavisimoe SMI Uzbekistana—Informator.Uz?” [“Why the independent mass media of Uzbekistan, Informator.Uz, is closed?”], Uzinfocom blog U-FORUM (20 September 2007), http://www.uforum.uz/showthread.php?t=2565. 68 "Uzbek olam.uz news site shut down, staff accused of high treason,"Uznews, January 29, 2013, http://bit.ly/19KDiic; "Is olam.uz trying to hide its criminal charges? "Centre 1, February 1, 2013, http://bit.ly/18eYayZ. 74 Criminal Code of the Republic of Uzbekistan, art. 139 and 140, http://bit.ly/1aA516n. 76 MushfigBayram, Forum 18, "Uzbekistan: Harshened Criminal And Administrative Code punishments," June 15, 2016, http://www.forum18.org/archive.php?article_id=2189. 77 OSCE Representative on Freedom of the Media, "Recent legislative amendments in Uzbekistan worrying, OSCE Representative says," April 29, 2016, http://www.osce.org/fom/237641. 78 Human Rights Watch,“The very end,“ September 26, 2014, http://bit.ly/1IXpa50. 79 “Independent Uzbek journalist released after nine years in prison” RFE/RL, October 5, 2017 https://www.rferl.org/a/uzbekistan-journalist-abdurahmonov-released/28775300.html. 80 Committee to Protect Journalists, “Government increases pressure on Uzbek journalists,” letter, February 17, 2010, http://cpj.org/x/37de. 84 “Karimov’s nephew released from a psychiatric hospital” Radio Ozodlik, March 1, 2017, https://rus.ozodlik.org/a/28341844.html. 87 “Uzbek Blogger Sentenced to Six Years in Prison for Critical Posts,” Fergana News, February 13, 2018, http://enews.fergananews.com/news.php?id=3788&mode=snews. 91 Resolution of the President RU, О мерахпоповышениюэффективностиорганизацииоперативно-розыскныхмероприятийнасетяхтелекоммуникацийРеспубликиУзбекистан, [On Measures for Increasing the Effectiveness of Operational and Investigative Actions on the Telecommunications Networks of the Republic of Uzbekistan] No. ПП-513, November 21, 2006, at Preamble and art. 2-3. 92 Ibid, art. 5.8. Infra., note 110. Also, tax and custom exemptions apply for import of the SORM equipment by domestic ISPs, see Tax Code of RU, art. 208, 211, 230 part 2, and 269. 93 See Law RU, "On Telecommunications". 95 Privacy International, "Private Interests: Monitoring Central Asia", Special Report, November 2014, at pp. 38-43, https://www.privacyinternational.org/sites/default/files/Private%20Interests%20with%20annex_0.pdf. 96 EdinOmanovic, “Eight things we know so far from the Hacking Team hack,” Privacy International, July 9, 2015, https://www.privacyinternational.org/node/619. 97 Resolution of the President RU, О мерахпоповышениюэффективностиорганизацииоперативно-розыскныхмероприятийнасетяхтелекоммуникацийРеспубликиУзбекистан, [On Measures for Increasing the Effectiveness of Operational and Investigative Actions on the Telecommunications Networks of the Republic of Uzbekistan] No. ПП-513, November 21, 2006, at Preamble and art. 2-3; See, Criminal Procedural Code of RU, VedomostiOliyMazhlisa RU (1995) No. 12, item 12, at art. 339 part 2, "Tasks of Investigation," and art. 382, "Competences of the Prosecutor." Resolution of the President RU No. ПП-513, note 87 above, art. 4. 98 Law RU, Oбоперативно-розыскной деятельности, [On Operational and Investigative Activity] No. ЗРУ – 344, December 26, 2012, SZ RU (2012) No. 52 (552), item 585, art. 16, 19. 99 “Uzbekistan: Namangan Resident Faces 8 Years in Jail for Skype Call with Political Exiles,” Fergana News, December 23, 2015, http://enews.fergananews.com/news.php?id=2786. 100 Resolution of the Cabinet of Ministers, "On the National Security Service of the Republic of Uzbekistan, " November 2, 1991, No. 278, at Part IV (3). 101 Resolution of the President RU, О mерахпоорганизациикриптографическойзащитыинформации в RеспубликеУзбекистан, [On Organizational Measures for Cryptographic Protection of Information in the Republic of Uzbekistan] No. ПП-614, April 3, 2007, SZ RU (2007) No 14, item 140, at art. 1. 103 U.S. Department of State, “Uzbekistan,” Counter Reports on Human Righst Practices for 2011,http://1.usa.gov/1L9qfsZ. 104 MTC Uzbekistan, “How to subscribe,” http://www.mts.uz/en/join/. 105 See Resolution of the SCCITT RU, "О внесенииизменений и дополнений в Положение о порядкепредоставлениядоступа к сетиИнтернет в общественныхпунктахпользования [On making amendments and additions to the Regulations on the procedure for providing access to the Internet in the public areas of use]," March 19, 2014, No. 79-мх, SZRU (2014) NO. 13, item 150. 109 International Partnership for Human Rights, “Uzbekistan: Harassment, detentions and mass surveillance restrict citizens’ rights” May 9 2017. 110 “OSCE condemns journalist’s detention in Uzbekistan” RFE/RL October 10, 2016 https://www.rferl.org/a/uzbekistan-osce-condemns-journalist-detention/28043960.html. 111 “Farg‘onaaeroportidayo‘lovchilarnoutbukitekshirilmoqda” [At Ferghana Airport, Laptop Computers of Passengers Are Being Checked], Ozodlik.org, June 2, 2011, http://www.ozodlik.org/content/fargona_aeroportida_yolovchilar_noutbuki_tekshirilmoqda/24212860.html. 112 "Около 150 тысяч человек взяты на учет в Узбекистане", (Approximately 150,00 people were taken for registration in Uzbekistan) March 25, 2016, Radio Ozodlik, http://rus.ozodlik.org/a/27634490.html. 113 Resolution of the Cabinet of Ministers of RU "О мерах по организации деятельности Центра развития системы Электорнное правительство и Ценра обеспечения информационной безопасности при Государственном комитетe связи, информатизации и коммуникационных технологий Республики Узбекистан" [On Measures Establishing the Development Centre on "E-governance" System and Cybersecurity Centre at the State Committee on the CITT], No. ПП-2058, September 16, 2013, SZRU (2013) No. 38, item 492, at Art. 3. 115 See Criminal Code Article 278-1 "Violation of the Rules of Informatization"; Article 278-2 "Illegal (Unsanctioned) Access to Computer Information"; Article 278-3 "Production and Dissemination of Special Tools for Illegal (Unsanctioned) Access to Computer Information"; Article 278-4 "Modification of Computer Information"; and Article 278-5 "Computer Sabotage."